After many years of working exclusively with SDL’s Trados software, in January we purchased memoQ, a new type of translation software. The purchase was primarily to aid the provision of a new site for Party Delights, a UK e-tailer selling party products. With nearly a million words to translate to French, we needed software that could handle such a large word count. 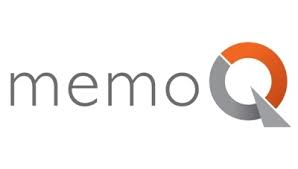 memoQ quickly handled large Excel files that Trados often took over a day to analyse, making it much more suitable for the project. It also correctly handled the .resx files we needed to translate. memoQ was also selected for this particular project because of how it aids our QA processes. With 13 translators each working on multiple files, we needed to be able to review multiple files at once in order to ensure consistency. With memoQ, we could open all of the files for a particular product type, checking for consistency and running various functions across large amounts of text in disparate files. The user interface improves the QA process, with many features which help Project Managers to ensure consistent and accurate translations. We do still work with Trados as well, as it lends itself to smaller projects in multiple languages. For large Excel files, however, memoQ is a clear winner. As a side note, I would like to stress that translation software is not an automated translation system. It is a program translators use, and which we use in-house, to handle files. We use software when dealing with files containing website code, as the software renders the code ineditable in order to protect it. We also use software when text strings are repeated in the source documents; the software signals if the string, or a similar string, has already been translated, and displays the previous translation which can be inserted. For more information about translation software and how we use it, have a look at our 2011 blog post about translation memory.